RIP! A Remix Manifesto, being officially backed up by the Canadian government, you will be astounded by what you see and what is openly discussed in this picture. Copyright infringement in the digital age. DocumentaryStorm.com is proud that all of the documentaries we are posting have copyright approval. Gaylor’s film goes above and beyond the bounds of most traditional documentaries and fully engages in the issue at hand: he has made his film “open source” and available online for anyone to “remix” themselves. Copyright and content is observed. In the process they dissect the media landscape of the 21st century and shatter the wall between users and producers. 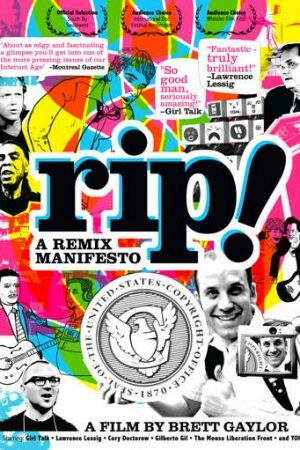 This documentary is being posted as a follow-up to our popular recent documentary about copyright and mashups. Everything is a Remix.